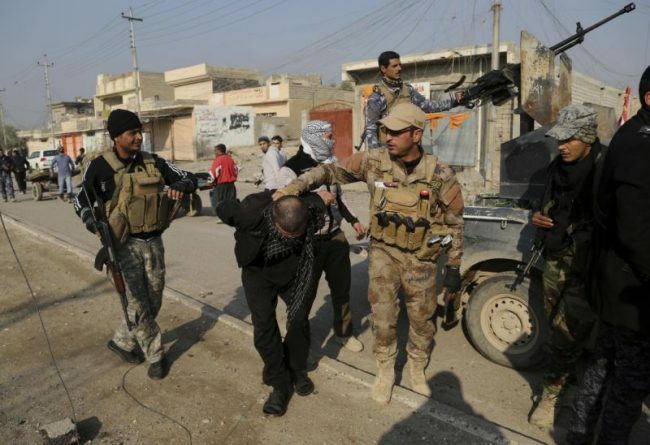 As the new year began the Islamic State began picking up its attacks in Iraq. During the last two months of 2018 security incidents dramatically dropped off as the group apparently pulled back during the winter. 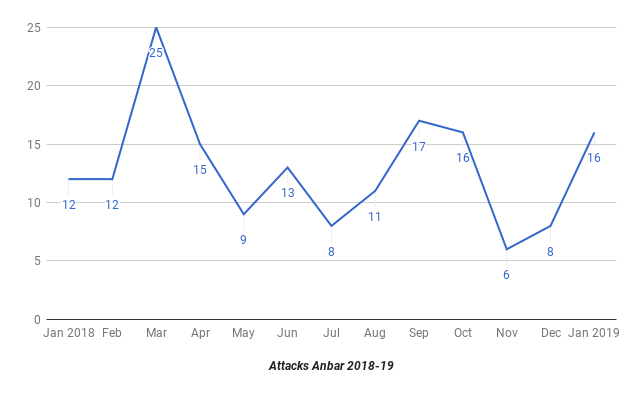 The rise in 2019 was due to renewed activity in Anbar, Kirkuk, and Salahaddin. 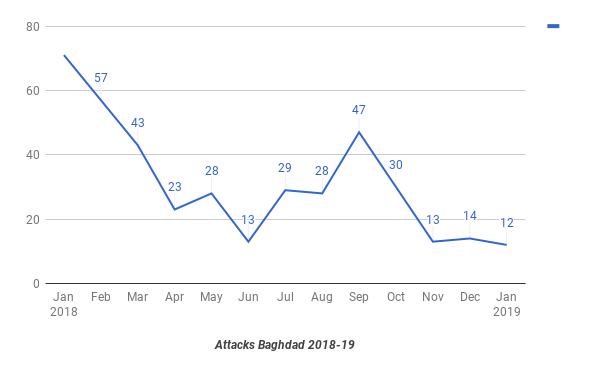 There were a total of 125 incidents reported in Iraq in January 2019. 11 of those were Turkish air strikes upon the Kurdistan Workers Party (PKK) in northern Kurdistan. That left 114 by the Islamic State. Another two of those were mass graves of IS victims being found in Ninewa leaving 112 attacks during the month due to the insurgency. That compared to 109 in November and 95 in December. Diyala with 32 and Kirkuk with 28 incidents led the country in violence during the month, followed by 16 in Anbar, 14 in Salahaddin, 12 in Baghdad, 9 in Ninewa and 3 in Babil. There were a total of 174 deaths and 130 wounded in January. 139 of those killed were due to the insurgency while 35 were from Turkish air strikes. 66 bodies were also found in those two mass graves in Ninewa leaving 73 recent deaths by IS. Two of the wounded were also due to Turkey. In total, 10 Hashd al-Shaabi, 31 PKK, 40 Iraqi Security Forces (ISF), and 93 civilians lost their lives, and 1 Asayesh, 1 Peshmerga, 20 Hashd, 22 ISF, and 58 civilians were injured. Minus the mass graves, Salahaddin had the most casualties with 53, followed by 46 in Anbar, 44 in Kirkuk, and 31 in Diyala. 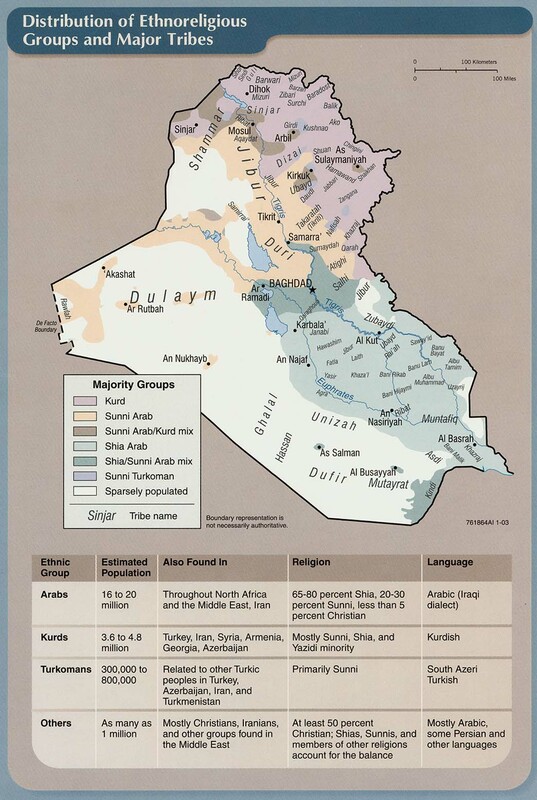 Anbar was one province that IS had largely withdrawn from during the winter. Incidents went from 16 in October down to just 6 in November and 8 in December. 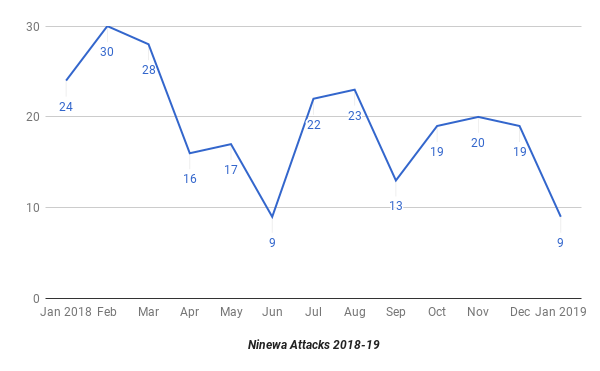 In January however IS was back with 16 attacks. 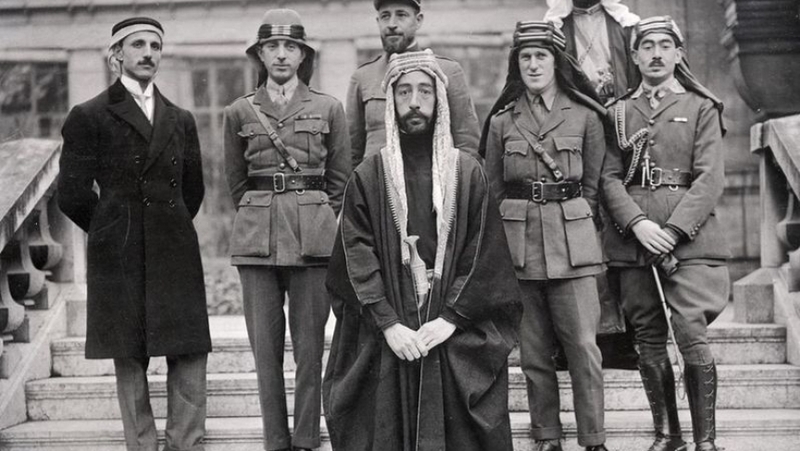 That included one gun battle with the security forces, 1 kidnapping of farmers, 2 mukhtars assassinated, and a suicide and car bomb, plus another vehicle bomb that was discovered and dismantled. These stretched from Fallujah in the east to Qaim in the West by the Syrian border. 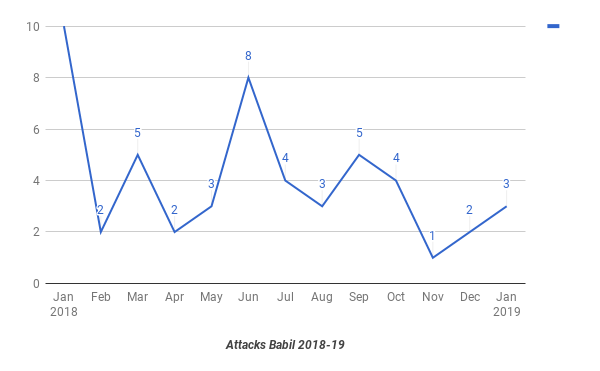 There were just three incidents in Babil. 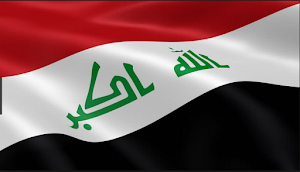 Two attacks happened in Jurf al-Sakhr in the northeast by Anbar and one in Iskandiriya in the center. 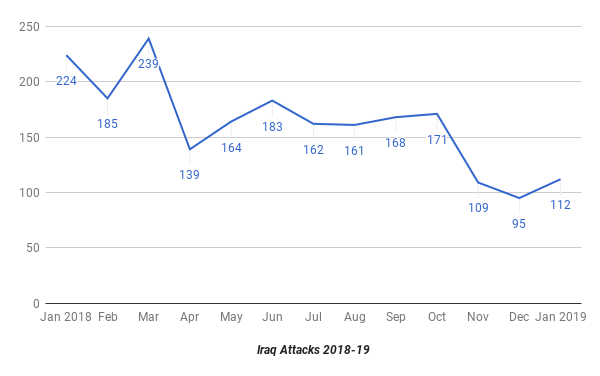 IS has largely been dormant there since 2017. Incidents were in single digits for all of last year except for January with 10. In September for example there was 5, followed by 4 in October, 1 in November and 2 in December. Babil used to be a major base for the Islamic State, but after it lost Jurf al-Sakhr it moved on to other areas. 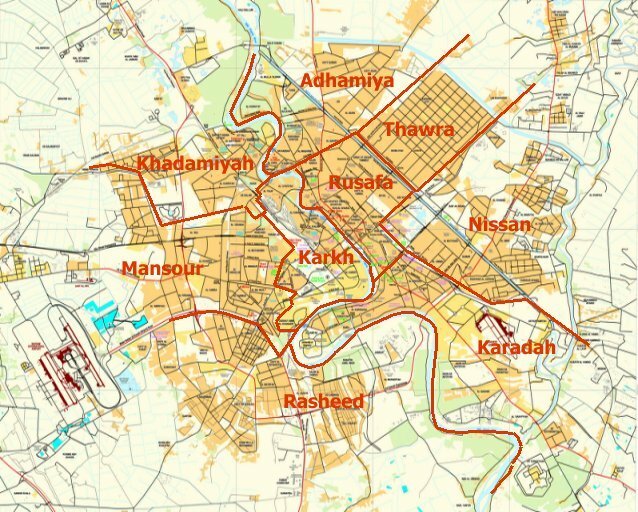 That district was completely emptied of people by the Iraqi forces and none have returned since, depriving a population the insurgents could hide within. 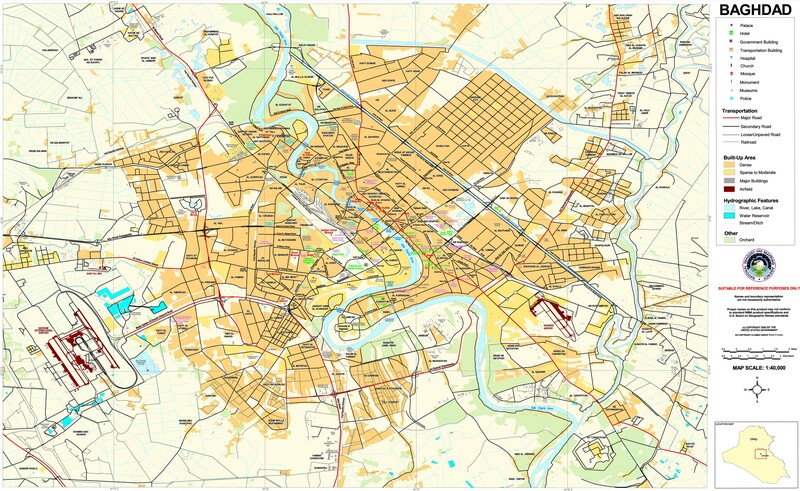 Baghdad is another governorate the militants largely pulled out of at the end of last year. Incidents went from 30 in October to 13 in November and 14 in December. In January 2019 there were just 12. 6 of those were in the other northern towns like Taji and Tarmiya, 4 in the outer western towns like Abu Ghraib, and 2 in the outer south. All the attacks were shootings. The capital used to be the main terrorist target for the insurgents, but now that they are rebuilding they are not committing the resources there. They have to return to Baghdad however to be relevant. If attacks start going back up there that would be a sign that the insurgency has moved into a new phase. 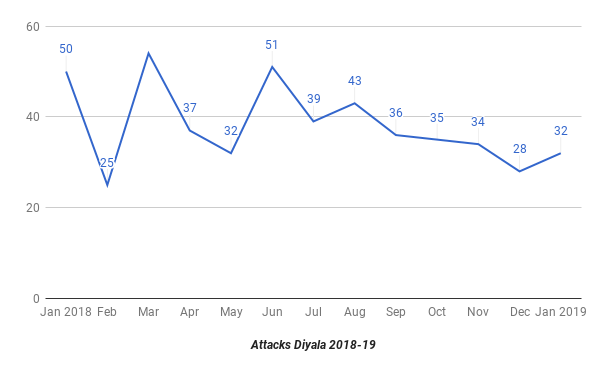 Violence in Diyala has remained relatively stable since September. That month there were 36 incidents with 35 in October, 34 in November, 28 in December and 32 in January. Last month one town was attacked, there were 3 gun battles with the security forces, and 8 assaults upon checkpoints. During January attacks shifted. At first, most were in the Muqtadiya district (6 total) in the center and the Khanaqin-Jalawla districts in the northeast (11 total). In the middle of the month, IS began hitting Abu Saida in the center with 9 attacks. The government has been ineffective in countering the group due to many different security forces being deployed with little coordination between them. There is also little presence outside of major cities and towns, giving the Islamic State largely free reign in the rural areas. 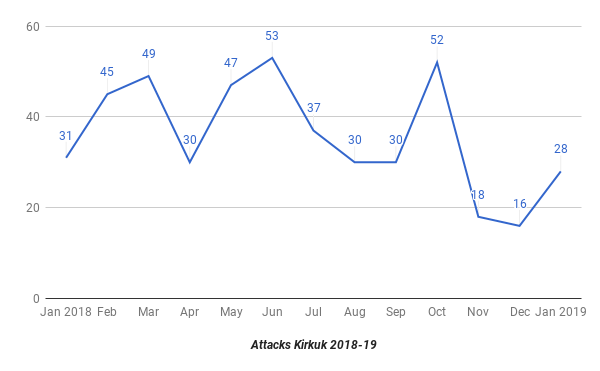 Kirkuk was the second province where security incidents went up. There were 18 in November, 16 in December, and then 28 in January. These attacks are concentrated in three areas, Riyad and Hawija in the South and Dibs in the north. In January, there were three kidnappings including two mukhtars, 4 attacks upon checkpoints, and a car bomb. 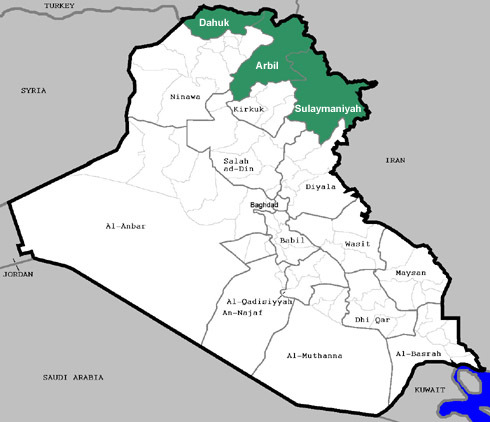 Like Diyala, this is a core area of IS’s rebuilding project. IS was largely inactive in Ninewa in January. There were only 9 incidents there compared to 19 in December, 20 in November, and 19 in October. A mukhtar was assassinated along with three other people in the Badush district. IS has mostly been carrying out operations south and west of Mosul. 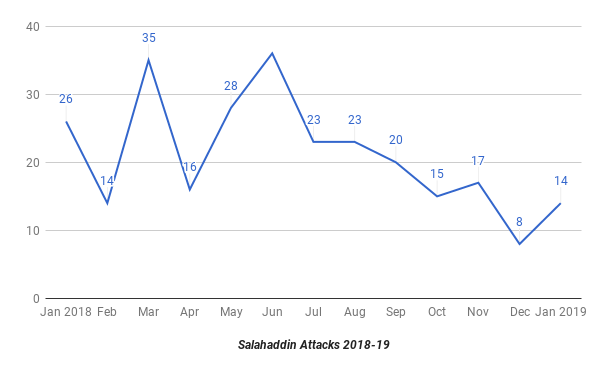 Attacks picked up in Salahaddin as well. there were only 8 in December, but then 14 in January. 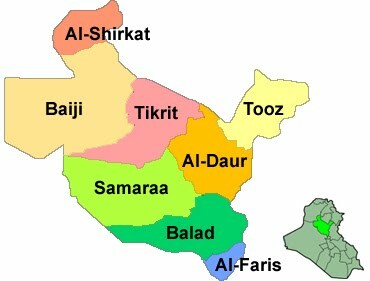 The incidents occurred in Shirqat and Baiji in the north to Tikrit and Samarra in the center. They included one attack upon a checkpoint, 3 kidnappings, 3 gun battles, and a truck bomb that hit Tikrit. Salahaddin used to be one of the main areas IS was regrouping in as well, but seemed to move out of the province during the summer. They could be making a return in 2019. Along with the increase in total incidents there were more mass casualty bombings as well. There were 3 car bombs and 1 suicide bomber in January. That was the most since 2 suicide bombers and 3 vehicle bombs in October. 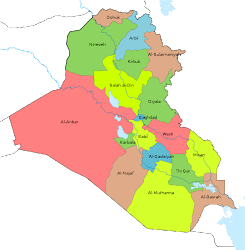 Tikrit was the only major city that was hit in January. 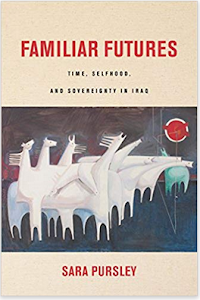 The others were in smaller towns like Qaim in western Anbar.